From the catwalk to 20-story rooftops, with each season we continue to see fresh new batches of diverse and beautiful faces that are continuing to surprise and empower the fashion world from Paris to Milan to Shanghai and back to New York. While many come from flashy backgrounds of celebrity parents and impactful siblings, there has also been some notable newcomers whose talent and influence have spoken to designers’ vision, morphing the future of the modeling scene. With Paris Fashion Week marking some new trends and New York Fashion week coming up, 10 of these fresh and returning faces have already impressed designers alike, walking in several shows, coveting multiple fashion campaigns and creating a place for themselves in this phenomenon. Here, we recap some of the most promising high-fashion catwalkers who are here to stay, pushing for more diversity in the industry as well as a transformed definition of what it means to be a model. Currently named the highest paying model in the world by several sources including Forbes, ELLE, and Harpers Bazaar, the 23-year-old Kardashian-Jenner is considered by many as the breakout model of her generation. She has topped big names in the modeling world, including the Hadid sisters. She made her debut into the modeling world not long after her success on the E! reality series, Keeping Up With the Kardashians. Making her initial appearance on low level covers such as American Cheerleader, she has since then landed in highly coveted publications and represented sought after brands such as Vogue and Estée Lauder. Things have quickly fallen into place for the television personality. Earning herself a place in the industry for her beauty and talent, she has impressed and partnered with a number of major brands such as Adidas, Aritzia, Versace, Estée Lauder, Longchamp, Stuart Weitzman and Calvin Klein. Bred in Malibu, CA from a Danish mom and Palestinian father Gigi Hadid has taken the fashion industry by force this past year, earning a place as one of the world’s top supermodels. She was first spotted by designer Paul Marciano and began her modeling career at the tender age of two for Baby Guess. She is known for her daredevil stunts for the pleasure of a beautifully curated photo. In demand by designers and setting social media ablaze, along with her sister, Bella, Gigi is the face of a number of covers including W, Vogue USA, Vogue Australia, Chaos, CR Fashion Book, and Harper’s Bazaar. Up and coming model Heejung Park began her career back in her home country, South Korea and took the modeling industry by storm with her walks in the Spring/Summer 2018 show during fashion week. She has become an instant muse in the fashion scene in the last eyar, walking for a number of designers in New York, London and Paris. Some of the big names that she has made an instant impression upon include Marc Jacobs, Erdem, Louis Vuitton, Givenchy, Blamain, Fendi, Christopher Kane, and Alexander Wang. Sudanese model, Anok Yai is fashion’s latest obsession, making a striking debut in Prada’s Fall 2018 collection. As Estée Lauder’s latest brand ambassador, Anok follows in the footsteps of several other empowering beauties to reflect the brand’s mission to celebrate females from diverse backgrounds, ethnicities, ages, and faiths. We love discovering new Asian faces in the fashion, seeming to take the industry by storm in the last few months. Irresistible to runway designers and stylists alike, Bomi Youn has made a solid impression on runway season with her debut open at Simone Rocha’s London Fashion Week show. The rising South Korean model impressed designers and agencies alike with her opening in the Simone Rocha London Spring/Summer 2019 Fashion Week show. 26-year-old South Korean accidental model, Sora Choi began her career in Seoul with the model agency YGKPlus. Beginning with local designers, she quickly made her international debut when she walked for French designer, Nicholas Ghesquière in the 2015 show in Monaco. Since then, she has done high profile appearances for big-name designers such as Fendi, Vera Wang, and Hugo Boss. The epitome of American glamour, Rebecca Longendyke can be seen in bright and bold Alzuarra prints, suited up in Givenchy formal wear, and in overstated Valentino feathered hats. She was a regular in the Spring and Summer 2019 fashion shows with 43 shows to add to her resume, easily becoming the seasons’ most in-demand face. Dominican beauty Anyelina Michell has been spotted in a number of recent shows including Altuzarra’s Pre-Fall 2019 collection, Saint Laurent’s menswear show for Spring/Summer 2019, and the Alexander McQueen runway show for Paris Fashion Week Womenswear Spring/Summer 2019. 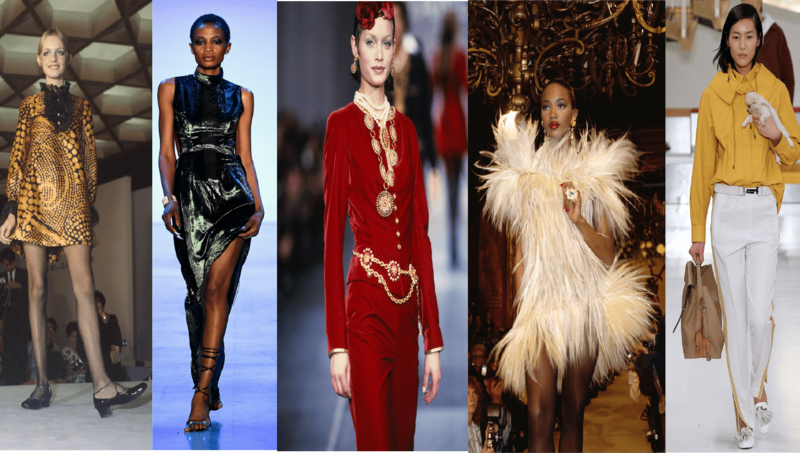 Victoria Beckham, Marc Jacobs, Burberry, and Prada are only a few of the many designers Fran Summers has walked for. The British supermodel has become an instant favorite in the fashion industry with her notable brown bob, golden glow, and empowering walk during shows. This redhead EMT-turned-runway model comes from Hot Springs, Arkansas and these past few months have been a whirlwind for the 22-year-old breakout model.Trained as an emergency medical technician, she quickly attracted the attention of Prada and made her debut in the Resort 2019 show in May 2018. She has since then been the face of many brands including Hugo Comte, Hedi Slimane, and Giambattista Valli. Gentleman, Walk into Summer with Style!